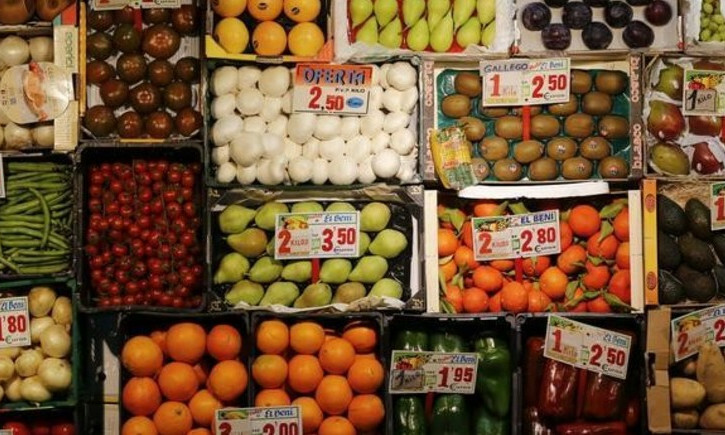 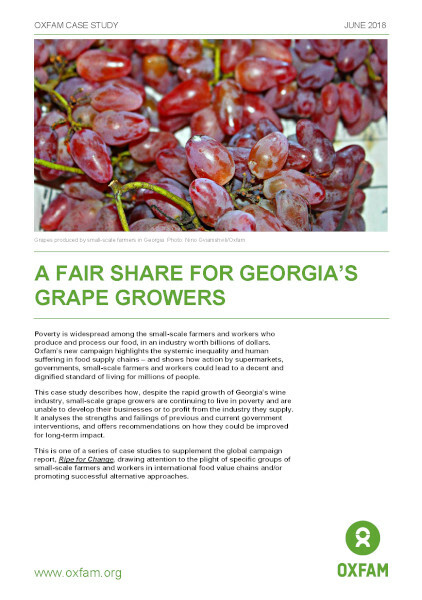 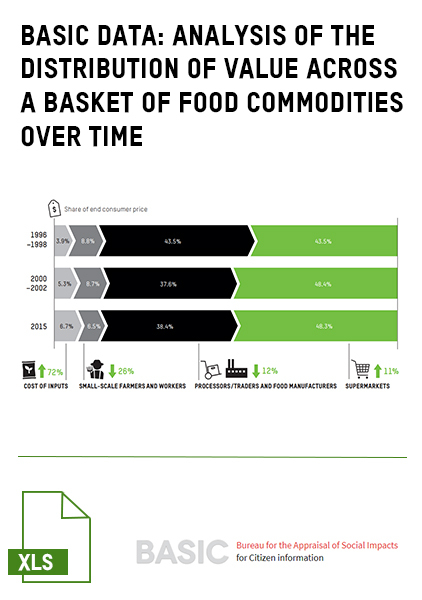 Inequality is rampant across the global economy, and the agro-food sector is no exception. 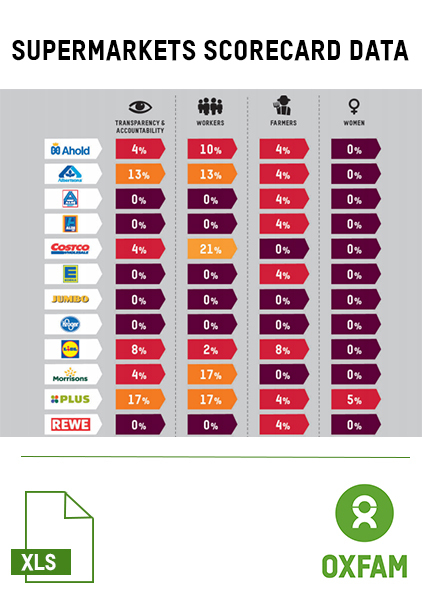 At the top, big supermarkets and other corporate food giants dominate global food markets, allowing them to squeeze value from vast supply chains that span the globe, while at the bottom the bargaining power of small-scale farmers and workers has been steadily eroded in many of the countries from which they source. 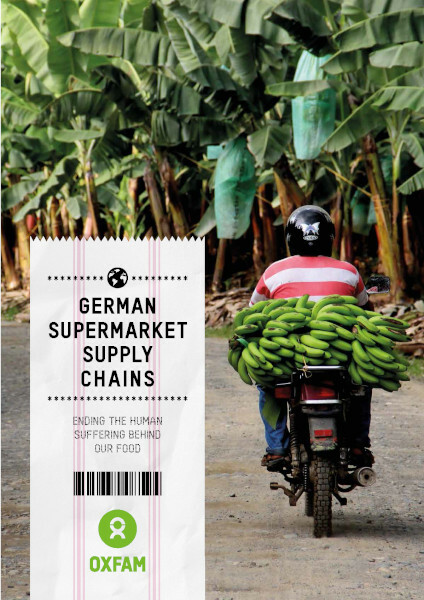 The result is widespread human suffering among the women and men producing food for supermarkets around the world. 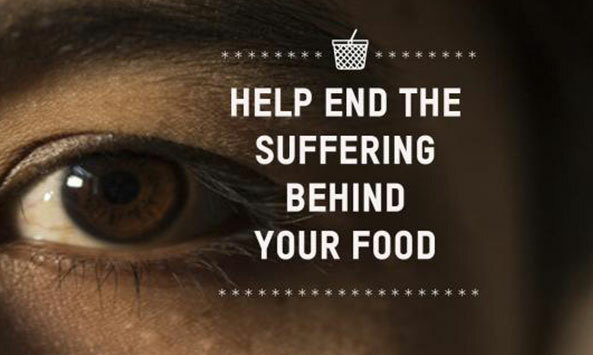 But it doesn’t have to be this way. 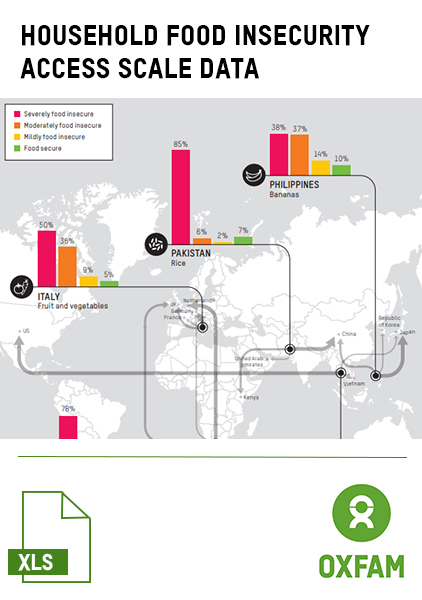 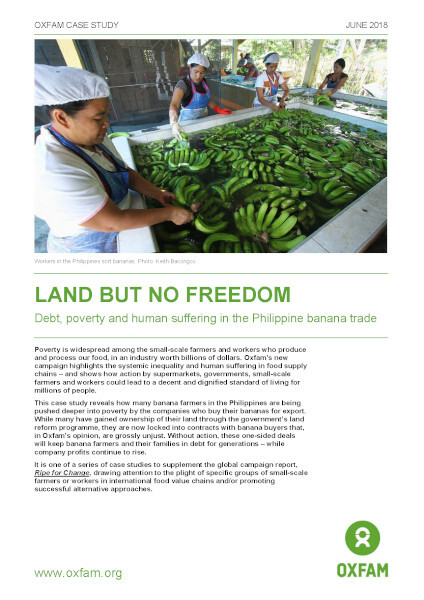 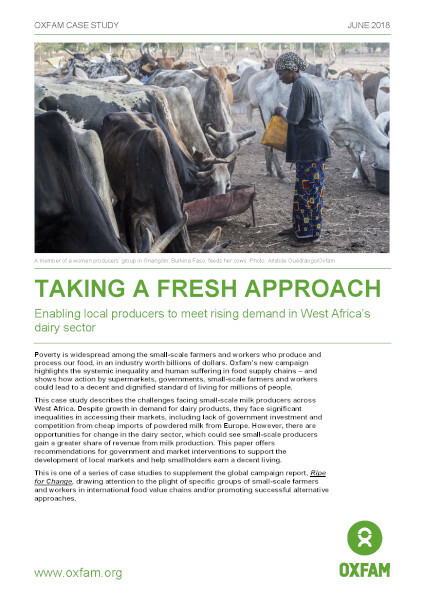 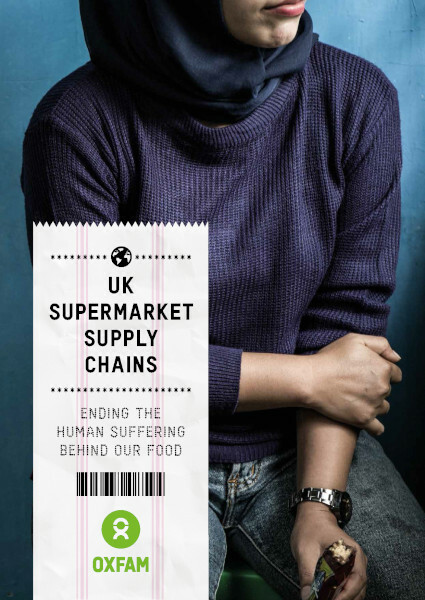 This report and the associated annexes listed below launch Oxfam’s new campaign to expose the root causes behind human suffering in food supply chains and to mobilize the power of people around the world to help to end it, starting with a focus on the role of supermarkets. 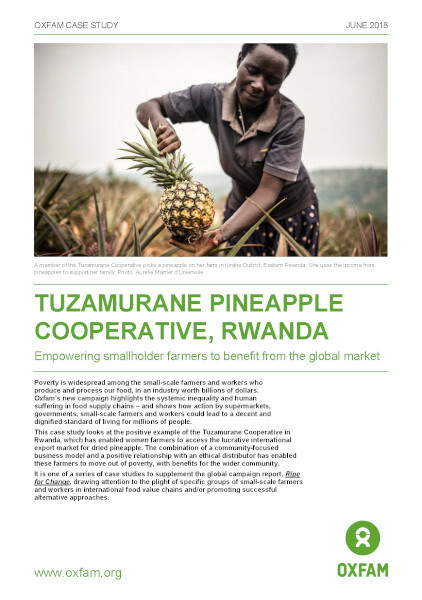 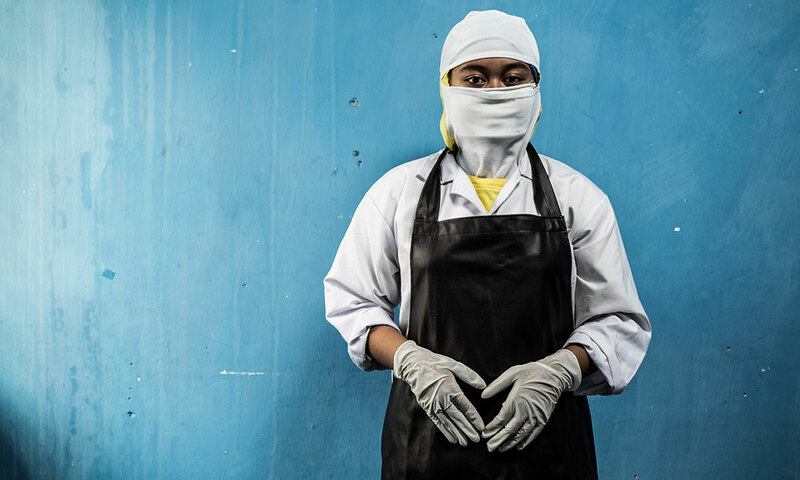 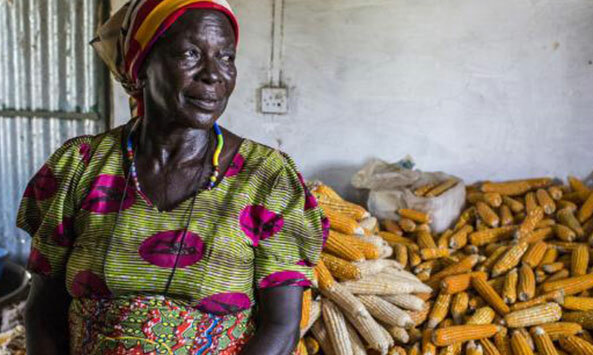 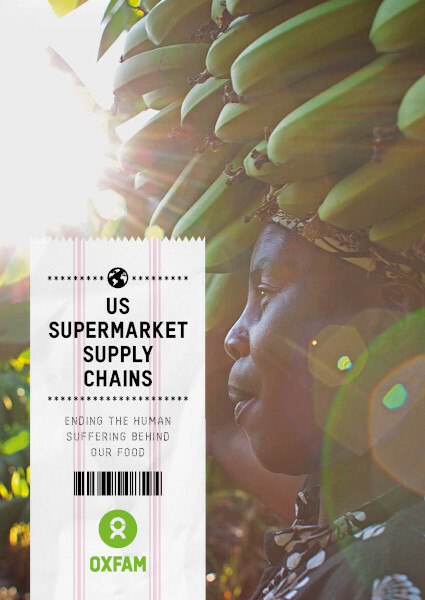 International food supply chains provide employment for tens of millions of women and men around the world, demonstrating the potential for private sector actors to fight poverty and inequality. 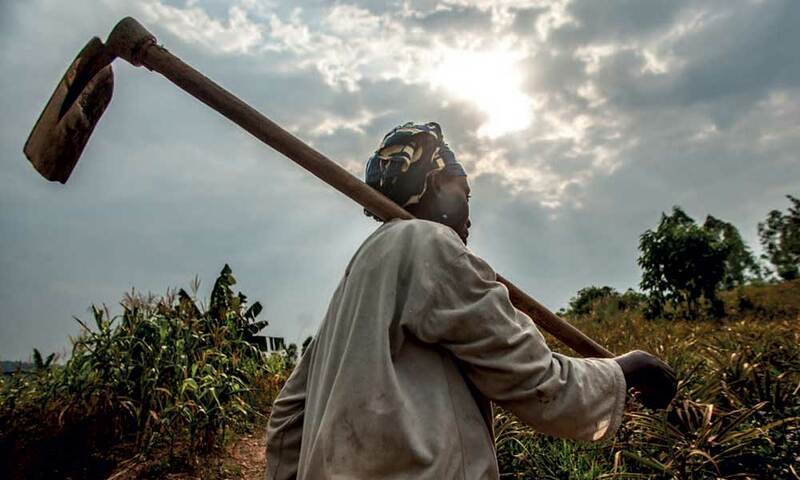 Yet far too many work in appalling conditions. 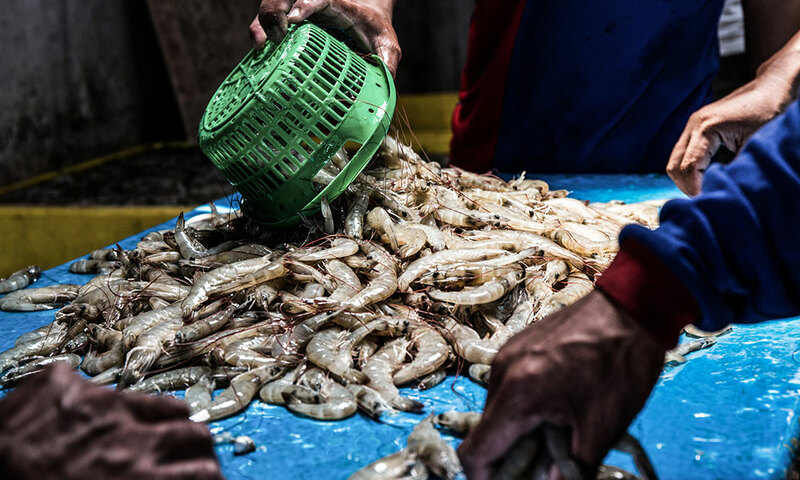 The ongoing challenges in seafood supply chains are illustrative of the problems that can arise and the need for stakeholders to tackle their root causes. 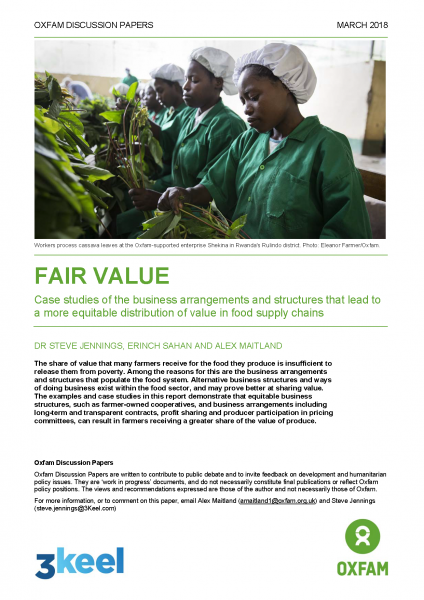 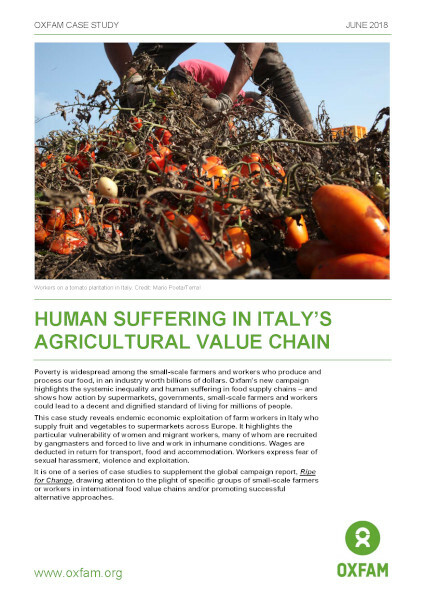 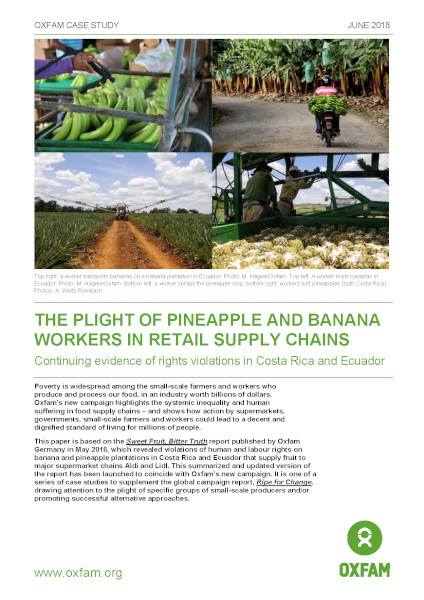 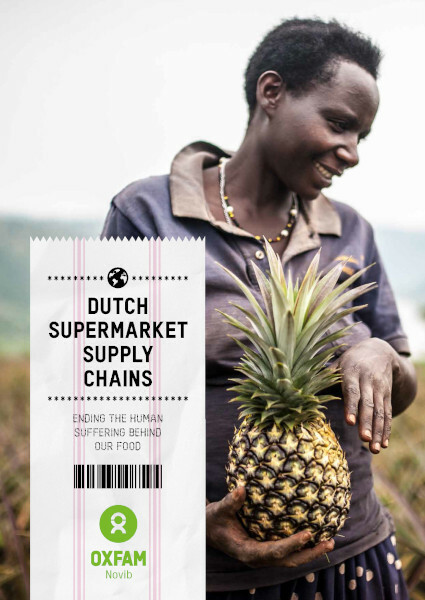 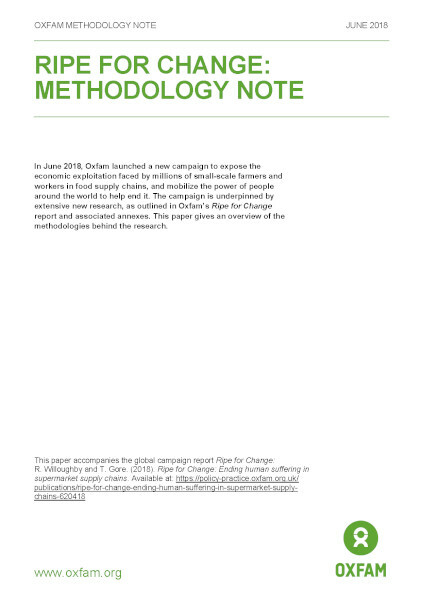 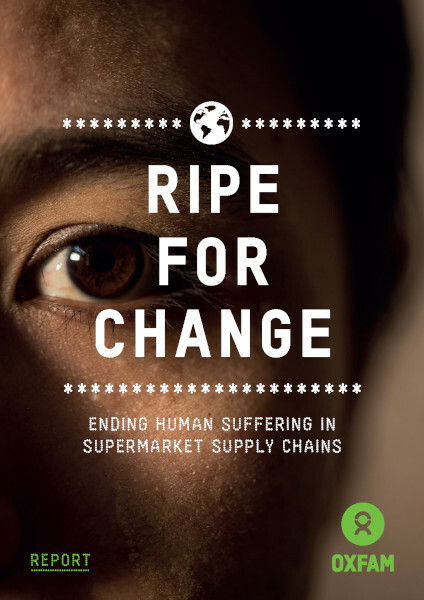 This is one of a series of in-depth studies to supplement Oxfam’s global campaign report, Ripe for Change: Ending human suffering in supermarket supply chains. 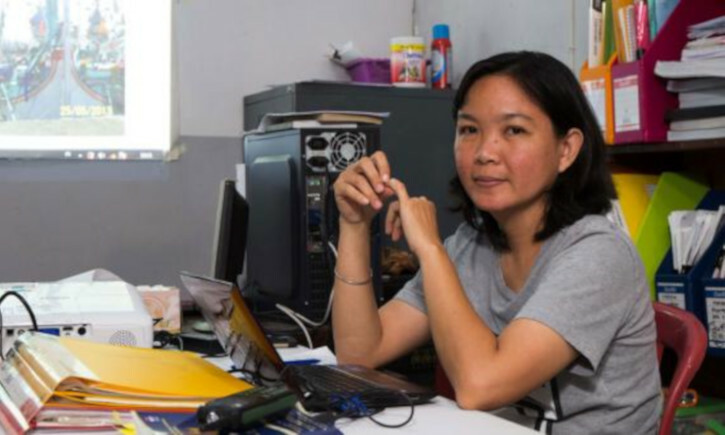 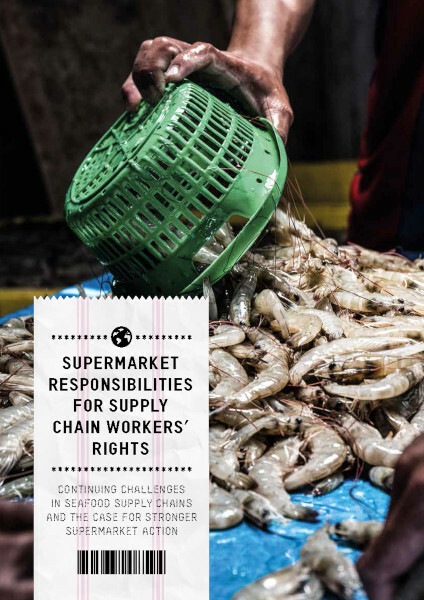 The report assesses recent progress in realizing workers’ rights in seafood supply chains originating in Southeast Asia; provides new evidence of ongoing workers’ rights challenges in US and European supermarket shrimp supply chains beginning in Indonesia and Thailand; and explores the need, in particular, to address the buyer power of supermarkets and other lead firms to squeeze value from their suppliers.